HERMAN HENRY DRAKE, at the blessed age of 80, peacefully transitioned to his eternal rest on March 29, 2019,at Rockynol Ohio Living. He was born in Docena, AL on December 4, 1938 to the late Deacon Lawrence Drake Sr. and Eula B. Drake, he was 13th of 14 children. He was employed by the City of Akron Sanitation Dept., the Goodyear Aerospace and retired from Chrysler Stamping Plant after a long tenure. 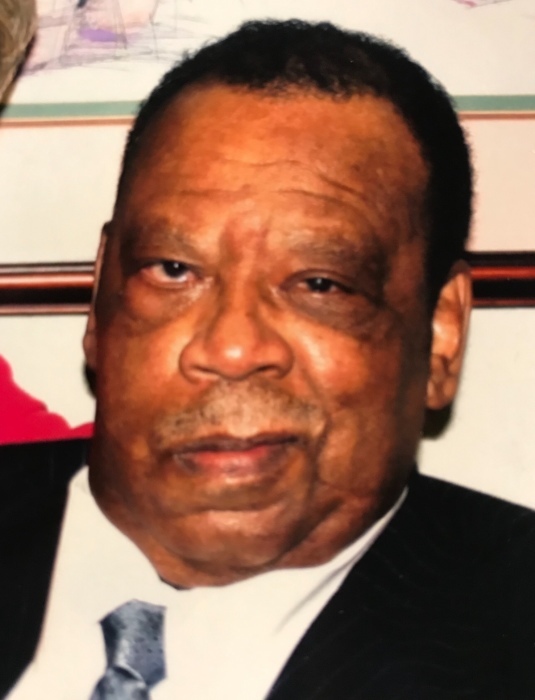 Herman was a member of Good Shepherd Baptist Church and served faithfully until illness prohibited it, and was very kind person, very well respected. He was preceded in death by his parents; his daughter, Jewelena; son, Herman D.; brothers, Pleas, Lawrence, Jr., Sylvester and Rev. Horace Drake; sisters, Lonnie Mae Drake, Gladys Saddler, Eulean Lomax, Jewel Brooks and Mabel Patterson; and grand-daughter, Tameka Millender. To forever cherish his memory, he leaves daughters, Maria Hogan (Edward), Alisa Anderson (Timothy), Octavia Drake, Danita Drake-Chapton (Brandon), Robin Payne and Sharland Payne, all of Akron, OH; sons, Wesley Payne (Morgan) and Darnell Payne of Akron; brothers, Cleophus and Edward (Mary) Drake of Akron; sisters, Beatrice Lewis and Almatto Head of Akron and a host of nieces, nephews, grandchildren, great grandchildren, great-great grandchildren, other relatives and friends. The Homegoing Celebration will be held Thursday, April 4, 2019, 12:00 PM at Good Shepherd Baptist Church,1010 S. Hawkins Ave., Akron, OH, 44320, Rev. Rodney McNabb, officiating, and where the family will receive friends from 11 A.M. until time of service. Interment, Glendale Cemetery. Procession will form at 543 Ravine View Dr., Akron, OH 44303. Condolences may be sent to 618 Noble Ave, Akron, OH 44320 or 1314 Pontiac Ave., Akron, OH 44307.